I picked up a copy of The Star while traveling in Malaysia recently. The article on the front page titled ‘Malaysia’s property sector cooling off’ caught my attention. It quotes the findings of the first half 2014 Property Industry Survey conducted by the Real Estate and Housing Developers’ Association of Malaysia. How bad are the numbers? - Close to 90 percent of respondents experienced a slowdown in property sales due to cooling measures announced in Budget 2014. - While 84 percent of developers were able to get bridge financing for their projects, 53 percent of their buyers faced challenges getting financing to buy the properties. - Properties priced below RM1 million were left unsold because of buyers’ difficulty to get financing and a glut of unreleased bumiputra lots. - 31 percent of properties priced between RM500,001 and RM1 million, mainly in Selangor and Johor, were left unsold after completion in the past three years. - 34 percent of properties priced between RM250,000 and RM500,000, mainly in Perak and Pahang, were left unsold. - 10,189 units were launched in the first half of this year but only 49 percent were taken up. - Over 80 percent of respondents held a ‘neutral’ to ‘pessimistic’ outlook for the property market in the first half of 2015. How does the situation compare with Singapore? In Singapore, according to the latest figures from URA, as of end of 2nd quarter 2014, the vacancy rate of completed projects is 7 percent for private residential units and 12 percent for Executive Condominiums. For projects under construction, 15 percent of private residential units launched were still unsold while 34 percent of the total number of units were unsold as of August 2014. Across the Causeway, the outlook of the property market looks even gloomier.It is the first time in recent history of the Malaysia property sector that less than 50 percent of units launched can be sold in a half-year period. For units completed in the past three years, over 30 percent are still left on the shelves. What seem to be the problems? According to Malaysia’s Valuation and Property Services Department, land prices and launch prices of residential properties have doubled from 2011 to 2013. With so many projects launched during this period, there will be a huge supply of completed residential units flooding the property market in the next two to four years. From 2011, developers jumping on the bandwagon build upscale residential projects in Johor, Selangor and Penang. Even overseas developers, including China developers, rushed to the country to diversify their investment. There were frantic moves such as building a man-made island without proper planning. And there is no authority to keep overbuilding in check. Any industry can prosper with healthy organic growth. On the contrary, a heavy dosage of growth hormones that promotes unnatural growth can result in many negative side-effects that ends up with premature mortality. 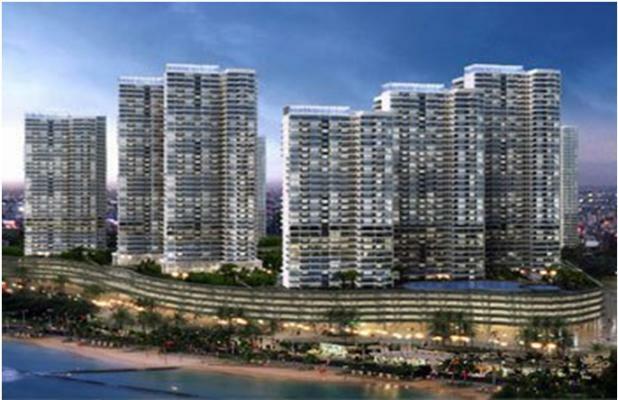 There is a huge injection of investment funds and impressive development plans in Iskandar. They contribute positively to the long-term economic growth in the area. However, it takes time to reap what you sow. The earning power of the locals takes time to catch up. The 70 percent loan-to-value ratio is now beyond the affordability of many home buyers. In fact, there appears to be a widening gap between the escalating property prices and the affordability of the home buyers. Of course the high-end residential projects built by foreign developers are not relying on take-ups by the locals. But foreign buyers are deterred by the property cooling measures of Budget 2014, including 1) doubling of the price threshold to RM1 million; and 2) higher Real Property Gains Tax of 30 percent for properties bought by foreigners sold within five years of purchase and 5 percent thereafter. For Singapore investors, they also find themselves at the mercy of the volatile relationship between the two countries on disputes over different issues like tolls, borders or water. The weaker Malaysian currency is a double-edged sword. The current exchange rate makes it look very attractive to own a property in Malaysia. But no one can guarantee that the ringgit won’t continue to weaken and will work against you when you want to exit the market one day. 4. Where is the resale market? According to Malaysia’s Ministry of Finance, in the first half of 2013, only 1.5 percent of property transactions was above RM1 million in the Johor state. Those bought before 2014 with prices lower than RM1 million will have to wait for their properties to rise above that magic value of RM1 million until they can sell to foreign buyers. 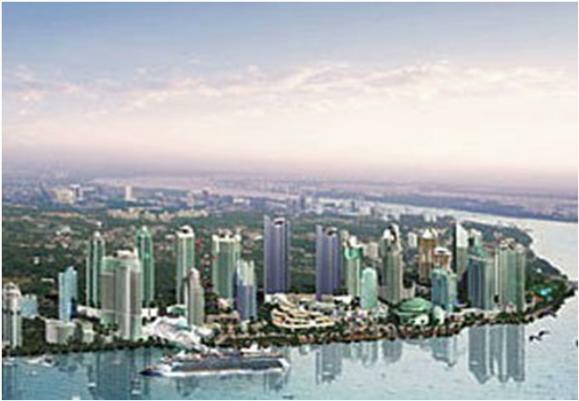 Unlike Singapore, Iskandar is a test bed but not a tested market. Until recently, we have seen active buying but not active selling. If one day properties with prices over RM1 million drop below the magic number of RM1 million, with all foreigners ineligible to buy, even if the locals are interested to take over, how many of them can afford the high quantum of these properties? So stop asking me what I think of Malaysia or Iskandar properties. When everybody is talking about a hot market, it’s not the time to buy. It’s time to sell. And don’t ask me again which project there is a good investment. Properties in any country can be a good investment. The key is the time and the price you enter the market. That is exactly the homework property investors need to do before they buy anything in any market. By guest contributor Property Soul, a successful property investor, blogger, and author of the No B.S. Guide to Property Investment. Posted courtesy of www.Propwise.sg, a Singapore property blog dedicated to helping you understand the real estate market and make better decisions. Click here to get your free Property Beginner’s and Buyer’s Guide.